TORONTO (AP) — The important thing to rock climber Alex Honnold is that the movie screen be big. IMAX, whatever. But big. It’s shortly before the Toronto International Film Festival premiere of “Free Solo,” the documentary that chronicles Honnold’s legendary, ropeless ascent up Yosemite’s El Capitan, a 3,000-foot wall of sheer granite and possibly the world’s most fabled rock face. Honnold has just come from free soloing — climbing without safety gear — a 69-story luxury apartment building in Jersey City, New Jersey. But whether scaling El Cap was Honnold’s greatest challenge, though, is an open question. Jimmy Chin and Elizabeth Chai Vasarhelyi’s “Free Solo,” in theaters Friday, not only chronicles Honnold’s famed ascent, and the months of preparation and anguish leading up to it, but also an arguably steeper challenge for the 33-year-old Honnold: moving out of his van and maintaining a long-term relationship. After settling whether “Free Solo” would screen on IMAX (it wouldn’t), Honnold was joined by Sanni McCandless, his girlfriend of several years. 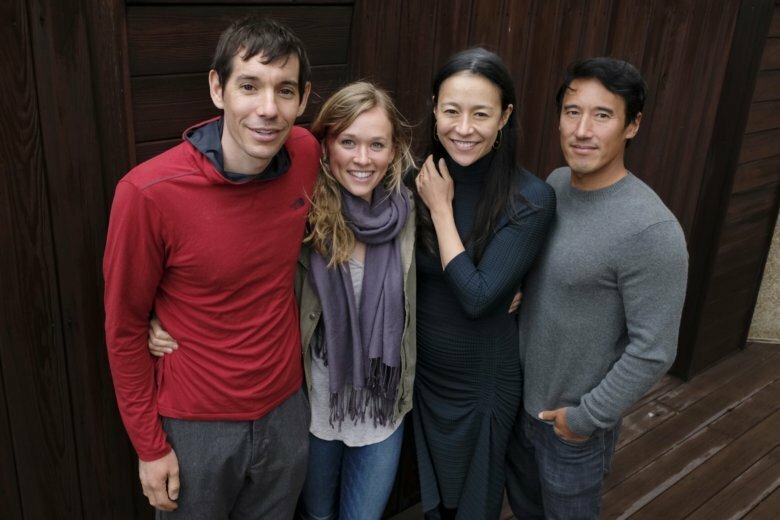 Just as Chin and Vasarhelyi, the filmmaking couple of the celebrated “Meru,” were beginning their film three years ago, McCandless slipped Honnold her number at a book signing. The exceptionally dedicated but goofy and boyish Honnold (in the film, he sums up the fearsome specter of El Cap with the phase “I mean, dude”) is at first almost comically inept at making room for someone else in his life. What makes “Free Solo” so fascinating is how these developments influence Honnold just as he preparing to take his biggest risk as a climber. Just the slightest distractions can be potentially lethal for a free soloist, making both the onset of love and the presence of film cameras unpredictable factors in a zero-sum game. “Free Solo” in some ways demystifies soloing which, to some can sound like lunacy. Honnold’s preparation is extreme. He doesn’t go until he’s thoroughly mapped out every foot hold of a climb. Also worth noting: a brain scan revealed that Honnold barely registers fear.